The Mass of Commitment for the children who will be confirmed later this year will take place this weekend. Find out more. The Mass of Commitment for the confirmandi of St Thomas’ Primary School will take place here in St Thomas’ church at 10am on Sunday 27th January 2019. Please pray for them and their parents and sponsors as they now focus on preparing for the Sacrament of Confirmation, which initiates them completely into the Catholic Church and in which they receive an outpouring of the Seven Gifts of the Holy Spirit to assist them into being faithful and committed disciples of the Lord. 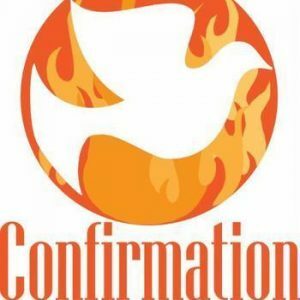 The P7 pupils of St Thomas’ Primary School are due to receive the Sacrament of Confirmation in St Mirin’s Cathedral on Wednesday 1st May at 7pm.